Last summer, the Beastie Boys won a $1.7 million judgment against Monster Energy Drink for the unauthorized use of their music in a promotional video. 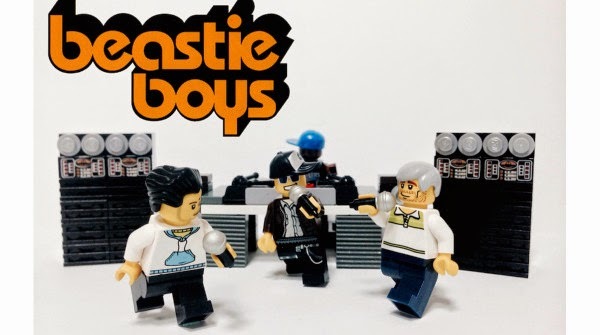 The judgment included statutory damages and penalties, and I thought was a pretty good recovery for the group, but the Beastie Boys now want another $2.4 million to cover the costs of the suit. The lawsuit involved a promotional video that Monster created using a mix of five Beastie Boys’ songs. I may be a little fuzzy on the facts, but the BB mix had been created by a disc jockey, Z-Trip (Zach Sciacca), who had earlier been authorized by the Beastie Boys to create the mix in connection with the promotion of a BB album. Z-Trip was apparently authorized to use the mix himself as a promotional item, but was not authorized to sell or license it. Z-Trip used the mix at a party during the Monster-sponsored snowboarding event “Ruckus in the Rockies”. A Monster employee charged with making a highlight video of the RITR event included footage of the live Z-Trip program and used some 23 minutes of the BB mix as background music. The video was posted on the Monster website, YouTube, and Facebook. Having failed to reach a settlement, Monster proceeded to defend its actions at trial on grounds that it had been authorized by Z-Trip to use the mix, and that Z-Trip was therefore liable for the infringement. (Z-Trip was also sued by Monster, but the case against him was dismissed on summary judgment.) The Monster employee responsible for the video had sent a preliminary cut of the video to Z-Trip with the message “Please have a look at the video from this past weekend and let me know if you approve,” to which Z-Trip replied “Dope!” And that was apparently good enough for Monster to believe they had authorization to use the Beastie Boys’ music in its promotional video, although it’s not clear that they even asked about authorization until after the BBs claimed infringement. Had Monster undertaken even a basic clearance check before co-opting the Beastie Boys’ music, it would have learned that the music was not to be licensed at any price. Only shortly before the snowboarding event and creation of the Monster video, Beastie Boys’ member Adam “MCA” Yauch died and had stated in his will that he did not want the band’s music to be used for advertising. I don’t know if that is legally enforceable against the band and/or the other members (a question for the GPM Estate Planning Practice Group), but the timing was such that the remaining members of the group were committed to respecting his wishes. Considering this personal issue and that a significant aspect of the trial was whether “Dope” created a legally binding contract between the disc jockey and Monster for use of the Beastie Boys’ music, you can begin to understand why the BBs would want to recover their legal costs. I can’t blame them, but it doesn’t work that way. Sadly, enforcing one’s rights frequently costs more than any damages that can be recovered, particularly in intellectual property matters where the primary goal is usually to stop the infringement. Damages are usually hard to prove and penalties are often not available for technical reasons. Most suits settle for exactly these reasons. In this case, the Beastie Boys actually did quite well considering that they probably experienced little actual damage from the use of their music in the Monster video. Monster, on the other hand, sadly miscalculated the cost of their irresponsible behavior. I wonder what they spent on legal fees.